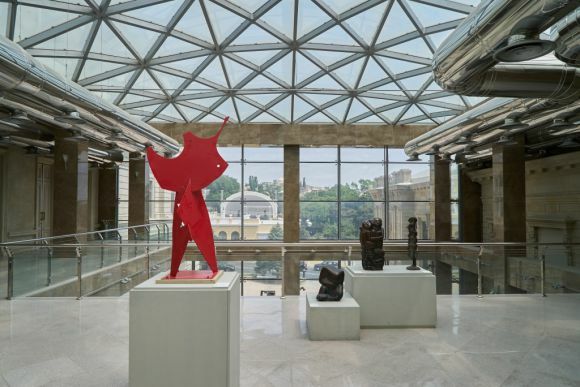 The Azerbaijan National Museum of Art is a treasure house preserving national moral values and cultural heritage. Holding more than 17,000 artistic exhibits, it has a rich history. The Art department was separated from the State Museum in 1936 and organised as an independent museum by decision of the Council of People's Commissars. The first exhibits were collected during expeditions and some were purchased. In 1937 the museum’s first exhibition opened and in 1951 the museum was moved to the late-19th-century Baroque-style De Bour mansion. In 2006 restoration work was carried out to the building and in 2009 a new exhibition was opened. In 2011 the museum was declared to be of European Museum Standard by the Council of Directors of the European Economic Chamber of Trade, Commerce and Industry, meeting international standards and criteria, and implying high-quality museum services and professionalism. An extensive library holds almost 9,000 scientific books and monographs, catalogues, albums and other professional literature, and a rare books collection. 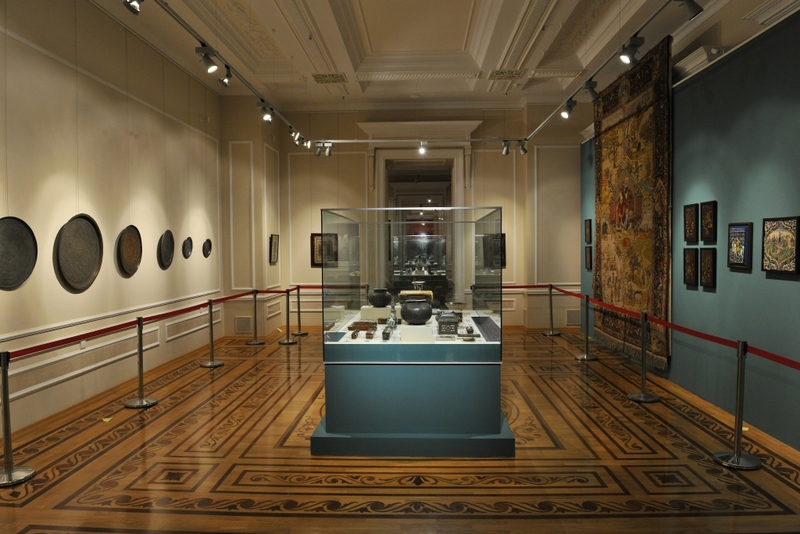 Exhibits include works of art from the 4th century BC; ceramic bowls with archaic ornamentation found in Nakhchivan, Mingachevir, Fuzuli and Khanlar (now Goy-gol); decorative lamps and glazed tiles of the Seljuq period; parts of friezes from the 13th-century Bayil castle; 14th-18th century chests found in Absheron and Shamakhi; fine manuscripts about the Qur’an and 16th-century books about astrology; original 17th-18th century Tabriz miniatures in tempera, water-gilding and watercolour; works by the celebrated artists Mir Mohsun Navvab, Mirza Qadim Irevani, Usta Qambar Qarabaghini, by the first professional artists in Azerbaijan and by contemporaries; 16th- and 17th-century metalware; and samples of fabric, embroidery, national costume and carpets and jewellery from the 18th-20th centuries. Besides these national treasures, examples of statuary, fine, graphic and applied arts of Western Europe (France, Germany, Austria, Italy, Greece, Flanders, Denmark, Spain), the East (Iran, Turkey, Japan, China, India, Egypt, Middle East) and Russia reflect the artistic history of various nations. The collections of the republic’s many museums and those of other CIS countries were created and enlarged from the museum’s scientific and material foundation. 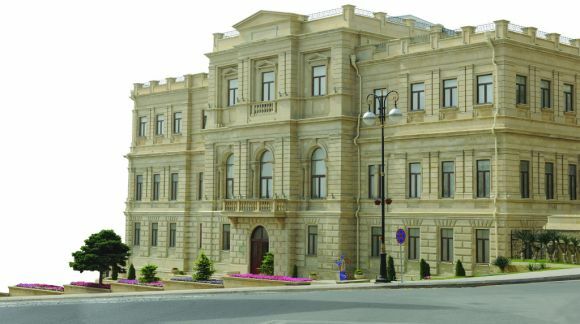 Art works were given for permanent use to the Nizami Museum of Azerbaijani Literature and the Azim Azimzade museum in the 1960s, the Azerbaijan State Museum of Carpets and Applied Arts in 1985, the Bahruz Kengerli Art Gallery in the Nakhchivan AR in 2001-05 and, at the same time, to the Russian Ethnographic Museum in St Petersburg.